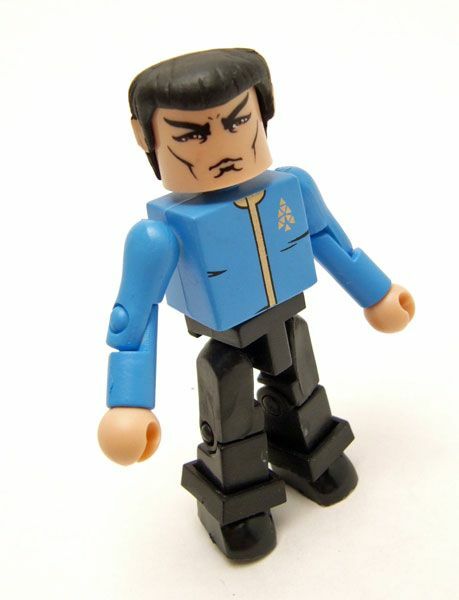 ...or with the variant Spock from "Spock's Brain"! The Rundown: Hey, it's a three-for-one spotlight today! 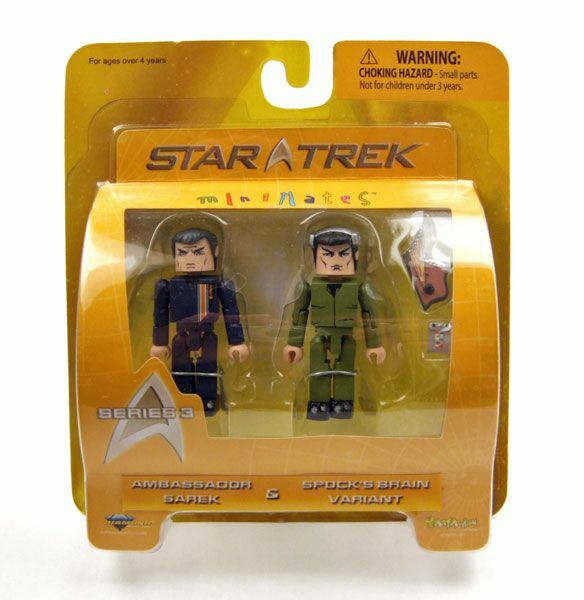 With every wave of their Star Trek Minimates, DST packed in a one-per-case variant of one of the standard packs. 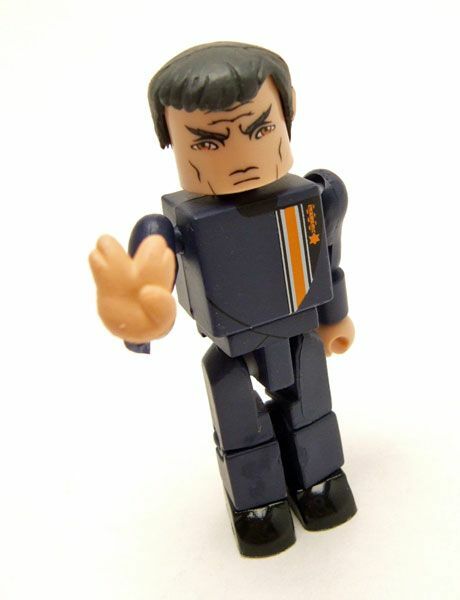 Wave three's variation was on the standard Ambassador Sarek & Dress Uniform Spock pack, changing out that Spock with a version from "Spock's Brain". Let's look at 'em! Sarek is the same in both packs. 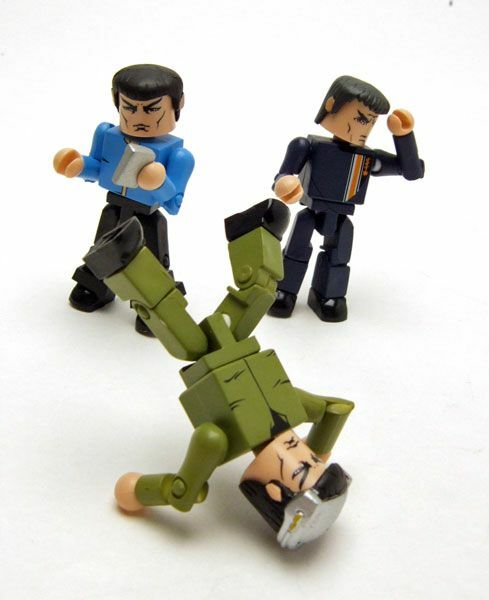 He's your unique "essential" character, while Spock fills the role of your "non-essential" variation character. 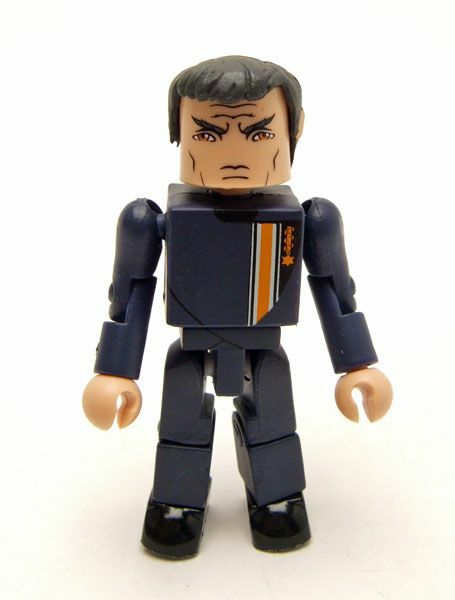 Sarek is based on his attire from the beginning of the episode "Journey To Babel", his one and only original series appearance. 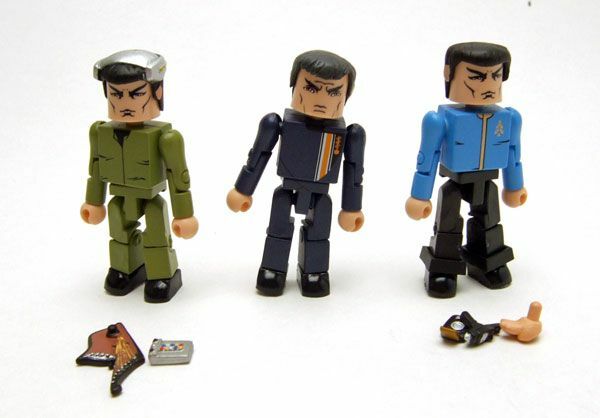 The standard version of the pack features Spock in his dress uniform to go along with wave one's dress McCoy and wave three's dress Kirk. The pairing makes sense here since Spock wore this outfit in "Journey To Babel". 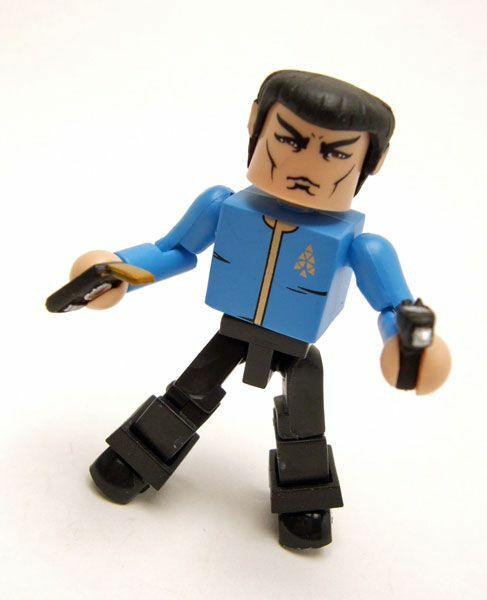 Dress Spock fares a bit better than Sarek. 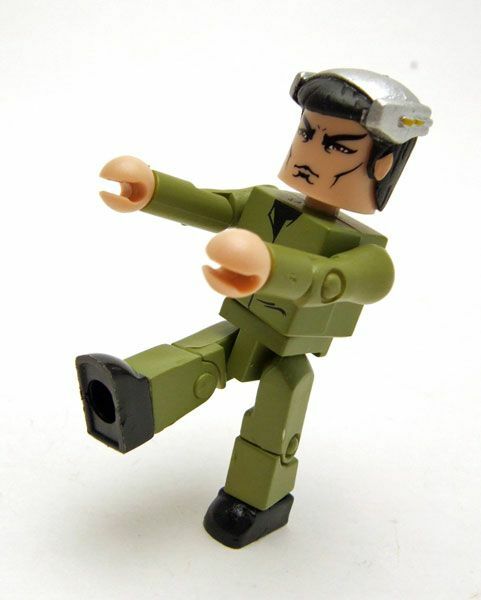 The head looks like Spock, and the dress uniform details are well done. 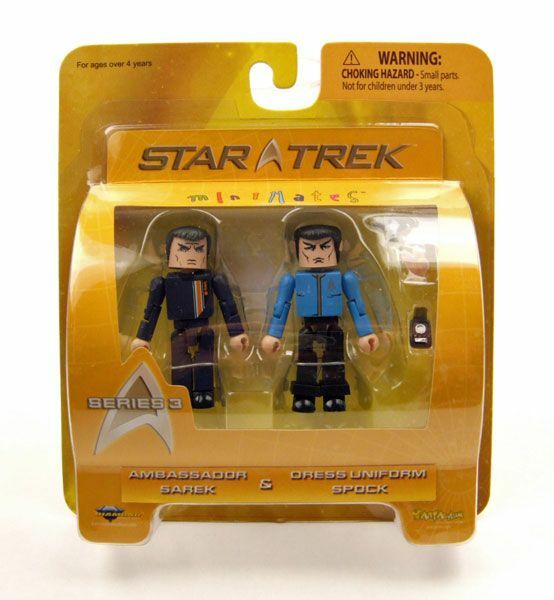 Oh, and I forgot to mention that Sarek comes with no accessories, while Spock at least comes with your standard Starfleet gear. 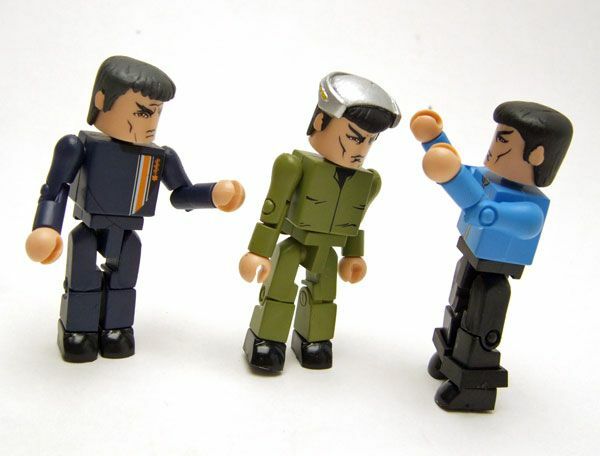 And here's your one-per-case variant: "Spock's Brain" Spock! 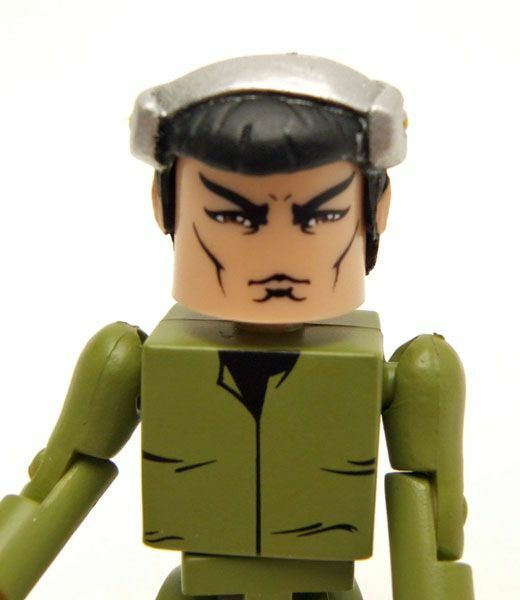 Straight from the unanimously panned episode comes Spock with his robot head gear. The pairing with Sarek makes no sense here, but it's a variant so *ahem* logic goes right out the window. 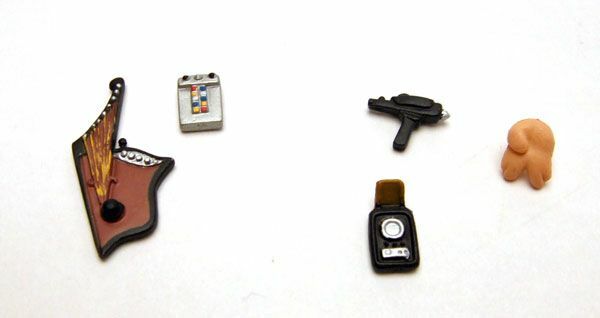 "Spock's Brain" is one of my guilty pleasures, so I was actually really excited to get this pack. The 'mate is well-done, with the headgear being the highlight. 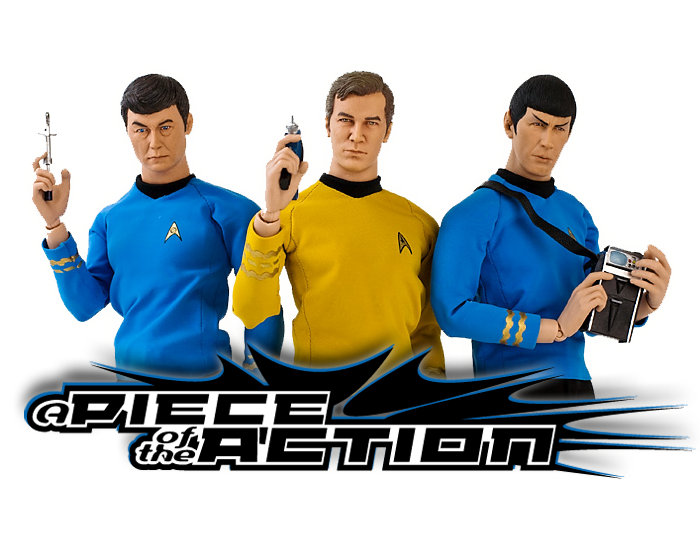 Oh, and if you absolutely can't stand "Spock's Brain", you can always switch out the head for a "This Side Of Paradise" version.